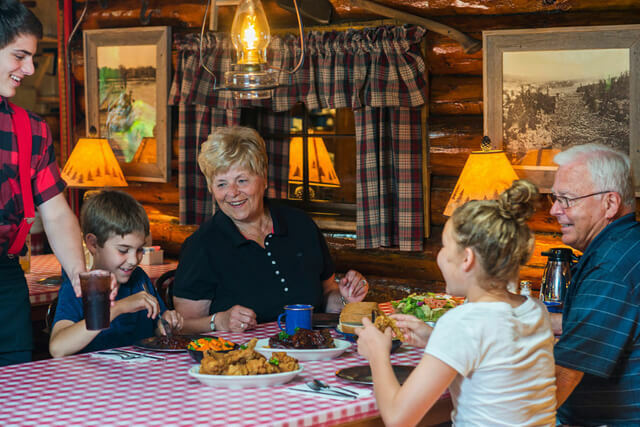 Single Serving of Lumberjack Dinner – Two meat entree, potato, vegetable of the day, homemade coleslaw or fresh garden salad, and homemade lumberjack bread. Kid’s Meals served with applesauce, French Fries, and a pickle spear. Choice of soda or milk. *Hours vary during shoulder season. Refer to our hours of operations for more information.